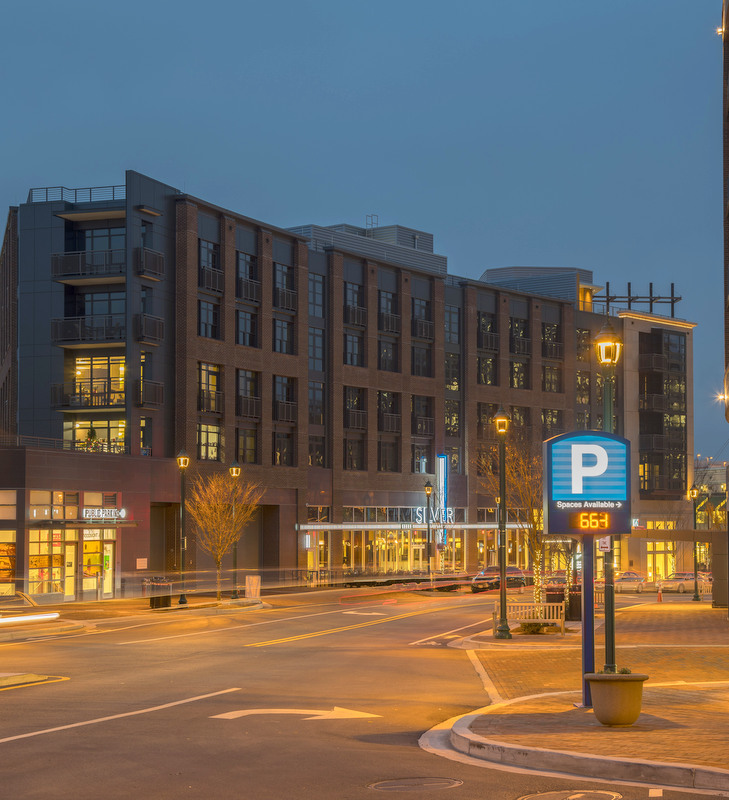 NASHVILLE, Tenn. – May 20, 2016 – As the seven winners of the International Parking Institute’s (IPI) 2016 Awards of Excellence demonstrate, both the state and art of parking have achieved new levels, with the customer experience coming out on top. The awards were announced at the IPI Conference & Expo in Nashville, Tenn., this week. 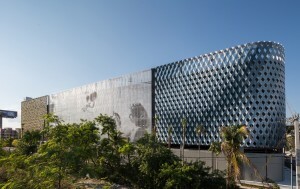 The $25 million Miami Design District City View Garage serves the Design District, which transformed a once-overlooked neighborhood into a high-end shopping, dining, and cultural destination, attracting more than 100 top retailers and countless domestic and international visitors. It incorporates 22,660 square feet of retail and 14,790 square feet of office space. TimHaahs worked with Dacra and L Real Estate on design, which involved multiple façade architects, including the internationally renowned Leong Leong Architects and Iwamoto Scott. The Leong Leong façade features titanium-plated, stainless-steel panels with thousands of sections cut and folded to provide a 3D effect. 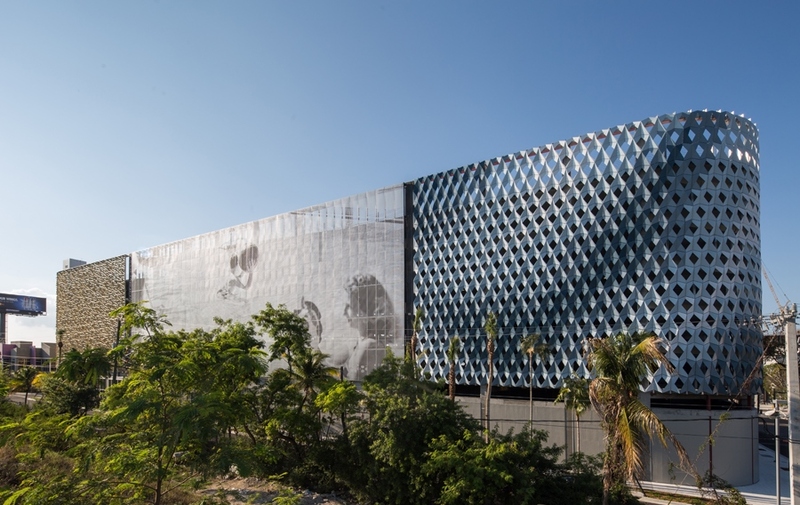 The Iwamoto Scott façade features a digitally fabricated, metal-screen, blue-and-silver, gradient color pattern that complements the surrounding buildings. Another façade features a highly technical artistic application by John Baldessari that transforms pixels from simple ink dots into different-diameter cutouts in the steel panels, providing the tone variations needed to create an image that is ambiguous up-close, but becomes gradually more visible at a distance. Two PARCS lanes at entry and exit allow efficient entry and egress. 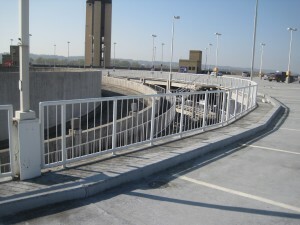 Ramps constructed in a double-helix design speed access to higher levels, and wayfinding graphics help parkers navigate smoothly. The garage’s landscaping and urban-scale treatments complement the Design District. 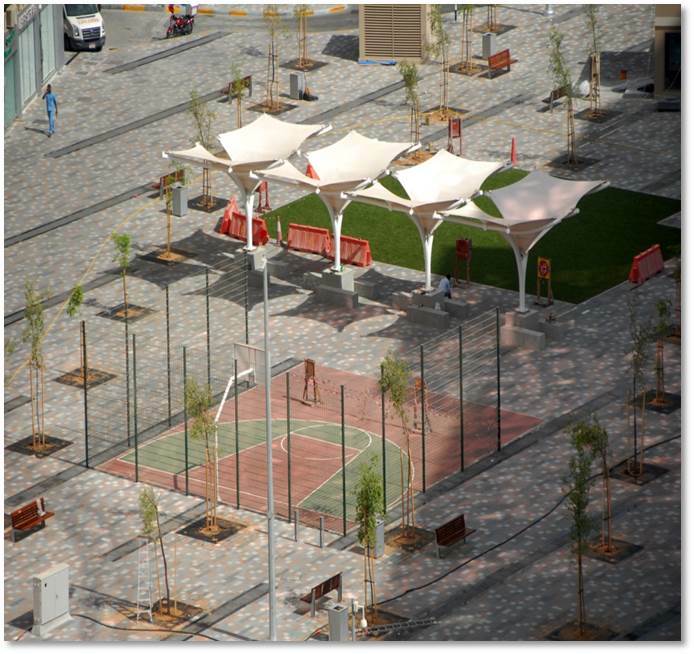 To address a severe parking shortage in Sector E11 of Abu Dhabi Island, the Department of Transport of Abu Dhabi embarked on a two-stage parking project whose goal was a multi-level underground parking structure for 726 cars in the Al Danah area of the central business district. While construction was underway, the department built a temporary steel structure with 509 parking bays as a quick solution to compensate for lost parking. It required easy and quick installation of a modular and mounted structure that was removable and reusable in other areas and environmentally friendly. The modern, energy-efficient, $35 million permanent facility provides sound control and interior-design features such as curved cladding, acrylic columns and wall panels equipped with efficient LED lighting, illuminated staircase handrails, granite flooring, remote-control monitoring, and electric-vehicle charging. Each level is designed with a different color scheme and lighting effect to ensure clear routing and relaxed traffic as well as pedestrian safety. The garage’s landscaped ground floor features a kids’ play area and basketball court, a shaded structure, trees with decorative lights, and decorative tiles. It is reinforced for weight and load and was rigorously tested for waterproofing. In partnership with the Montgomery County, Md., Parking Lot District, developers StonebridgeCarras and PN Hoffman constructed a $48.7 million underground parking facility to support two luxury residential buildings and a 42,000-square-foot, street-level retail/restaurant development. The four-level, below-grade garage provides 984 public parking spaces and 264 privately owned residential spaces, including six electric vehicle (EV) charging stations. Three double-loaded bays on each level provide 90-degree spaces on both sides of a 24-foot, two-way drive aisle that allows vehicles to circulate and easily locate parking, and simplified pedestrian access to cars, elevators, and stairwells. Commuters and recreational bikers coming from the adjacent Capital Crescent Trail can drop bicycles off before entering or bring them along via the facility’s oversized elevators. Wayfinding is color-coded by level, leading pedestrians and vehicles to major streets and the Capital Crescent Trail. A 24-hour security patrol, monitoring cameras, energy-efficient fluorescent lighting, and white walls and ceilings enhance customer safety. Hand-painted art glass windows depicting the history of Montgomery County add interest and aesthetics to the elevator/pay-station lobbies. Architectural design for the Florida International University (FIU) Parking Garage 6 Tech Station responded to multiple and diverse needs: greater access to parking and public transportation, more options for retail and services, and providing a visually appealing campus landmark. 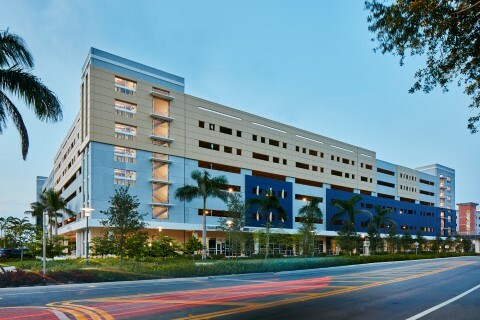 With 2,100 new parking spaces, the $38.2 million, seven-level garage complex will serve as a future transportation hub for local and rapid-transit buses linking FIU to residential suburbs, downtown Miami, Miami International Airport, and the Miami Intermodal Center. The ground level features 51,500 square feet of retail/auxiliary space as well as classrooms, training labs, and meeting/conference rooms. An open-air, illuminated, decorative pedestrian bridge connects the garage’s second floor to a busy central-campus loop road. Floor-themed signage based on color coding provides easy wayfinding: A scissor-ramp system with east-west entrances and exits and reversible traffic-lane direction maximizes efficiency. The highly sustainable complex includes natural ventilation, LED lighting and fixtures, connectivity to public transportation, bicycle racks, waste recycling, reflective roof materials, recycled carpet material, ceiling systems and millwork, minimal light pollution/spillage, lighting sensors/controls, low-VOC products, sun shades and maximized daylighting for occupied spaces. 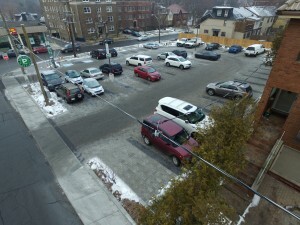 Originally opened in 1987 as a 43-space surface parking lot, the Toronto Parking Authority’s Carpark 164 was redeveloped into a 58-space surface lot with a new public seating area. The highly praised $686,000 renovation includes a revenue-collection system that allows for online credit card/cash payment and a mobile app that allows users to pay, track, and extend parking from their smartphones. 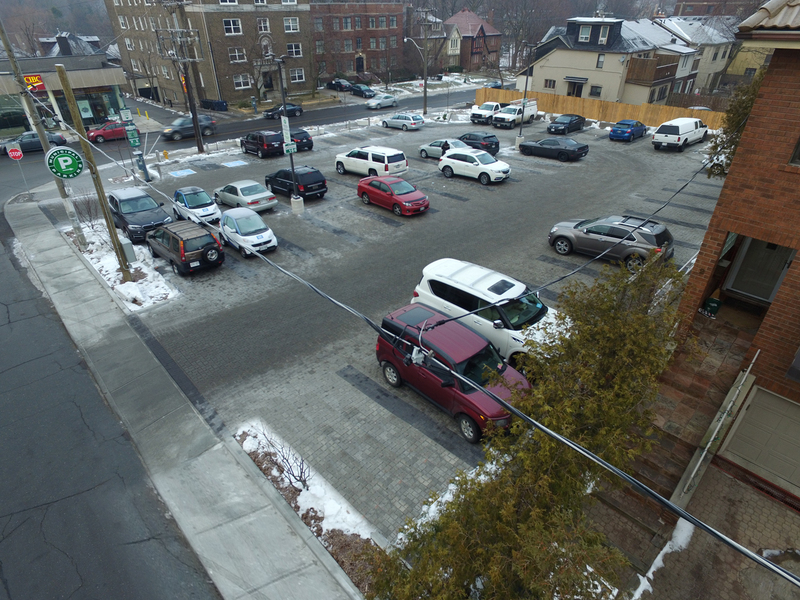 Consideration was given to parking layout, gradient levels, lighting, pedestrian connections, and landscaping to ensure maximum efficiency, sustainability, and aesthetic appeal. Vehicle flow is enhanced by a continuous loop design with generous 90-degree stalls, which are marked by inset unit pavers in alternating colors. Photocell-controlled LED lights automatically adjust with changes in natural light. Landscaping features include a bioswale and permeable pavers to facilitate sustainable stormwater management, trees that reduce the urban heat-island effect, and a planting scheme that provides year-round screening and seasonal interest. 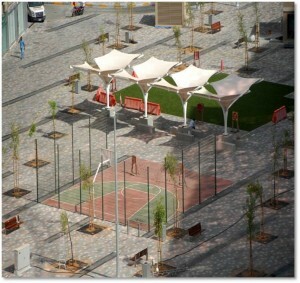 The facility offers multiple pedestrian connections and public seating opportunities. Margarita Rohaidy Delgado, President, MRD Consulting, Inc.
Miami’s Wynwood Arts District is home to more than 70 art galleries, retail stores, antique shops, and eclectic bars, and one of the largest open-air, street-art installations in the world. Its Second Saturday Art Walk and Art Basel, which attracts an international audience of collectors, museum directors, and curators, means Wynwood has seen exponential growth since 2002. 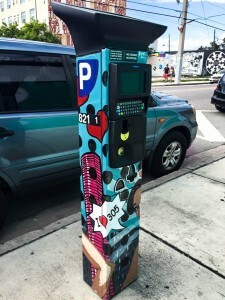 To integrate into the local art scene, the Miami Parking Authority held a contest to coincide with Art Basel 2015. Eight artists were selected to launch the first edition of “Park Your Art,” turning Wynwood’s pay-and-display parking machines into pieces of art and gain valuable exposure during Art Basel. The machines were covered with an anti-graffiti lamination to protect the designs, which will remain on display until the 2016 contest. Using “I Heart 305” as the theme, winners were chosen on originality of content, technique, and creative interpretation. 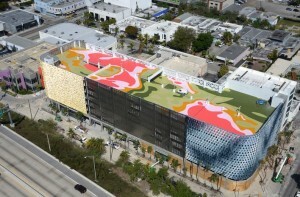 The unique project integrated parking into one of the most visible and respected arts programs in the world and positioned the Miami Parking Authority as a champion of innovation and creativity. The entire project cost just $5,500. 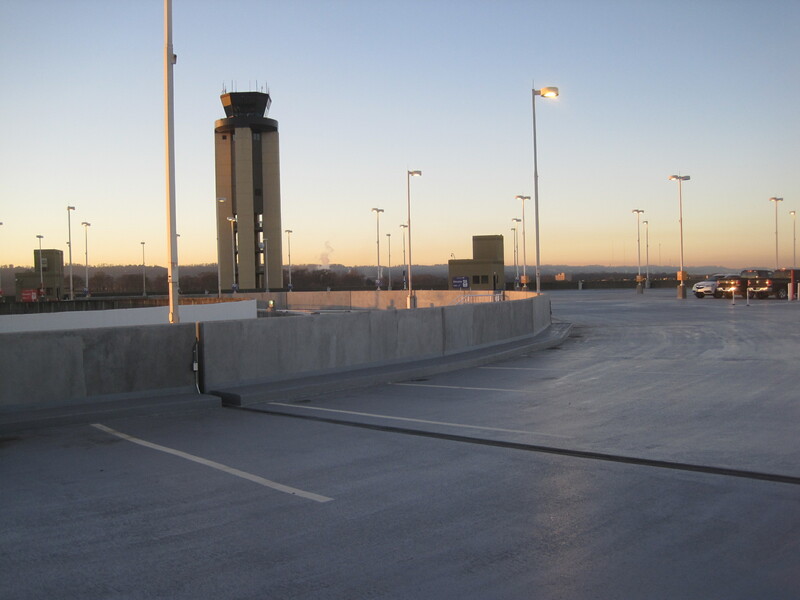 The seven-level, 5,300-car Birmingham-Shuttlesworth International Airport Parking Deck was constructed in phases from 1971-1997, with work areas accommodated to anticipate high- and low-occupancy times and unforeseen low temperatures and high humidity. Birmingham Airport Authority (BAA) staff held monthly/weekly progress and coordination meetings with the engineer and general contractor to review current and future phasing areas and address issues as they arose. 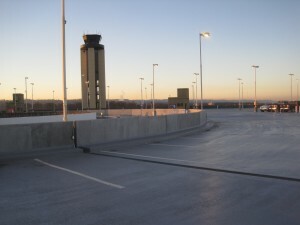 The $7.2 million restoration project addressed the entire structure, including removal/replacement of two miles of expansion joints, 410,000 square feet of deck coating on all levels, 2 million square feet of ceiling painting, new perimeter fall-protection barriers, structural repairs, and operational, aesthetic, and durability upgrades. Operational improvements collectively represented a significant portion of contract value and added to the complexity level of the project, but addressed the central objective: to heighten the overall experience of airport patrons. ADA spaces were re-concentrated to reflect current traffic patterns at current terminal access points and included new ADA signage and striping. New perimeter fall protection included cast-in-place concrete walls and barrier strand, depending on location. Among this project’s many challenges: no concrete pump-staging area was available so concrete had to be hauled to point-of-placement using a modified concrete bucket lifted by a forklift.